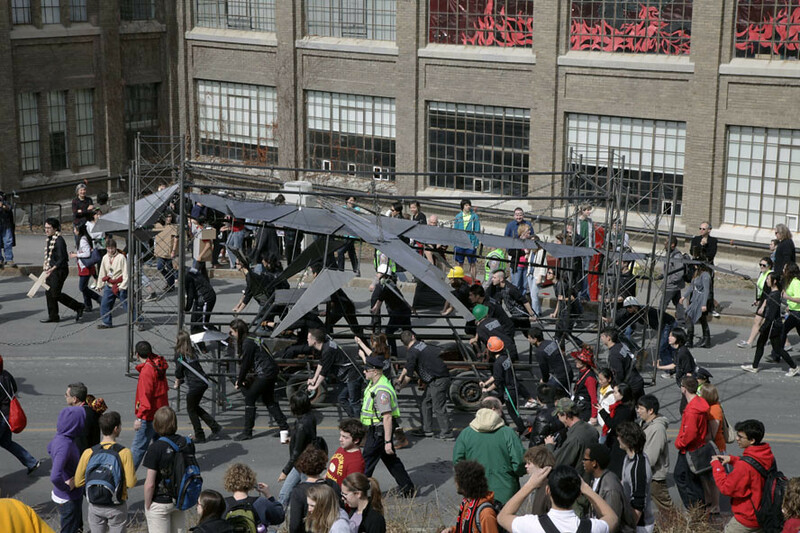 The annual Dragon Day parade passes Sage Hall on the way to the Engineering Quad. 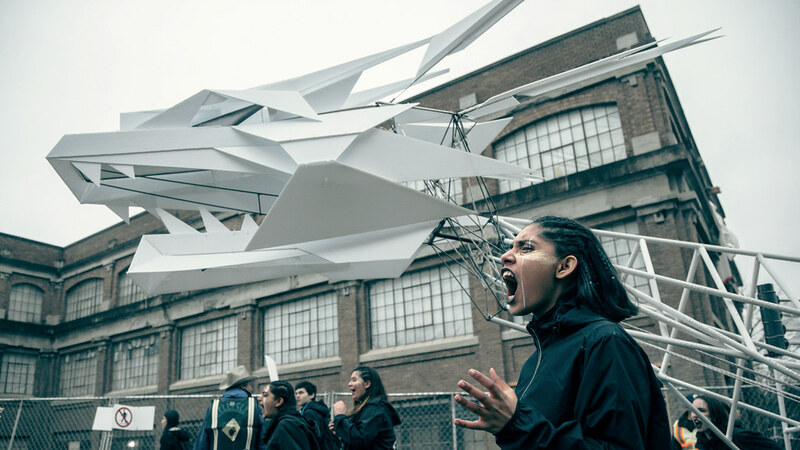 First-year architecture students build and parade a dragon every year in this annual spring tradition. Dragon Day 2018 parade on a cold and rainy day. 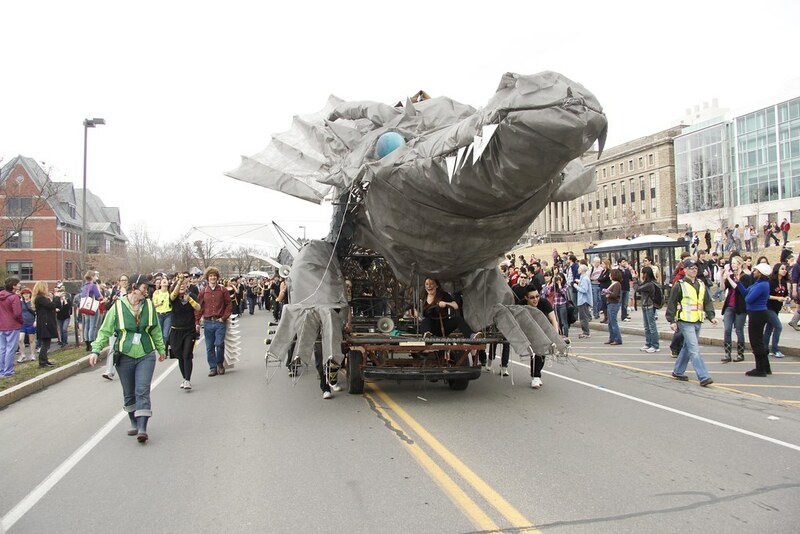 The dragon passes Rand Hall, early in its journey to the Arts Quad. The 2017 dragon blew smoke and doubled as a musical instrument. Dragon Day 2017 parade on a cold and rainy day. 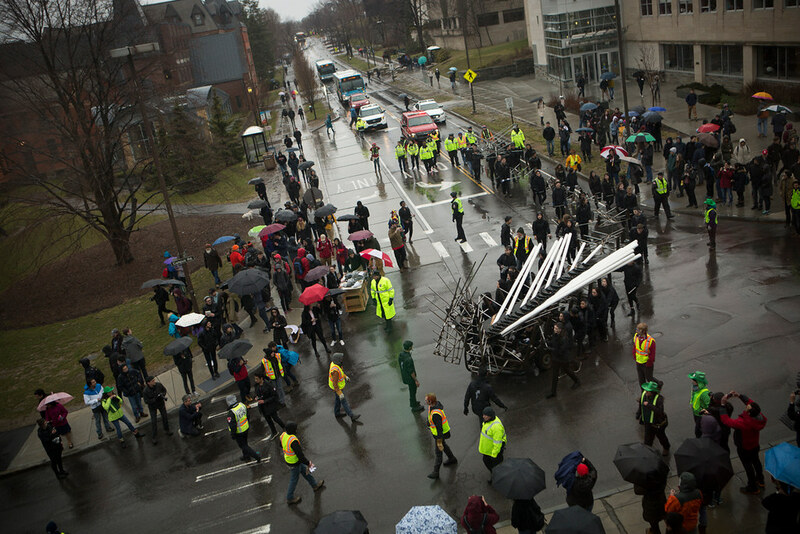 The 2017 dragon nears the Arts Quad. The 2016 dragon departs from Rand Hall. The 2016 Dragon begins its trek up East Avenue. 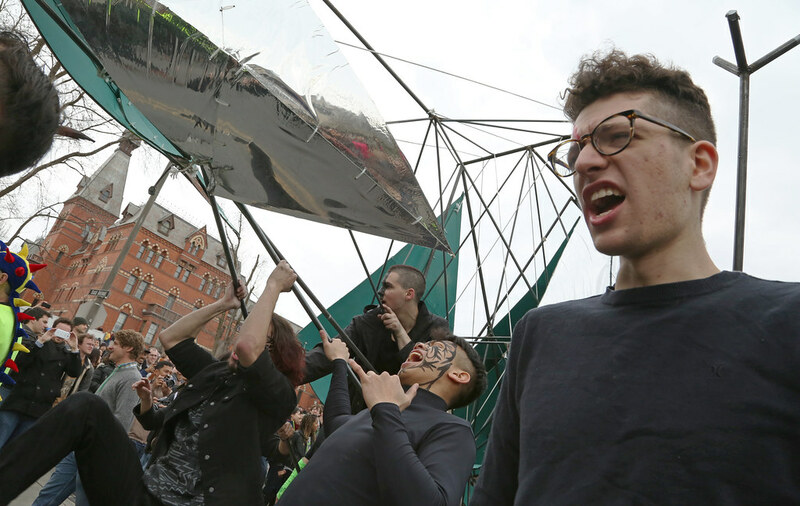 First-year architecture students celebrate the end of the 2016 parade on the Arts Quad. The 2015 dragon getting finishing touches. 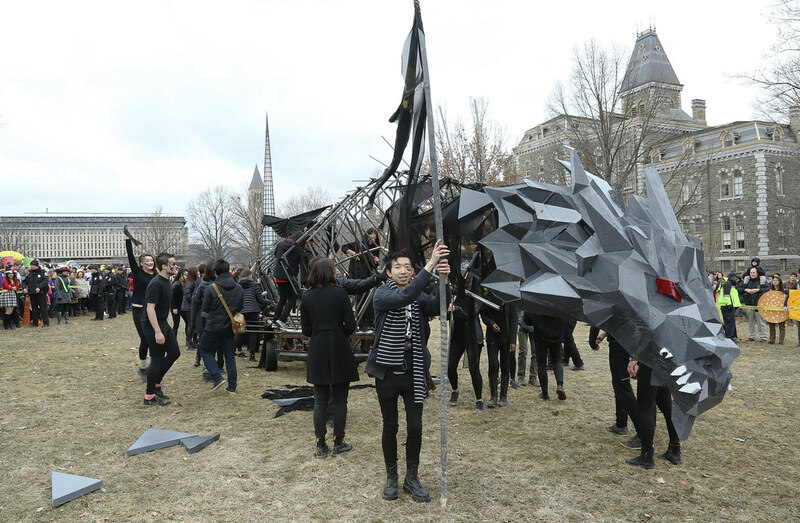 First-year students celebrate as the 2015 dragon comes to rest on the arts quad. 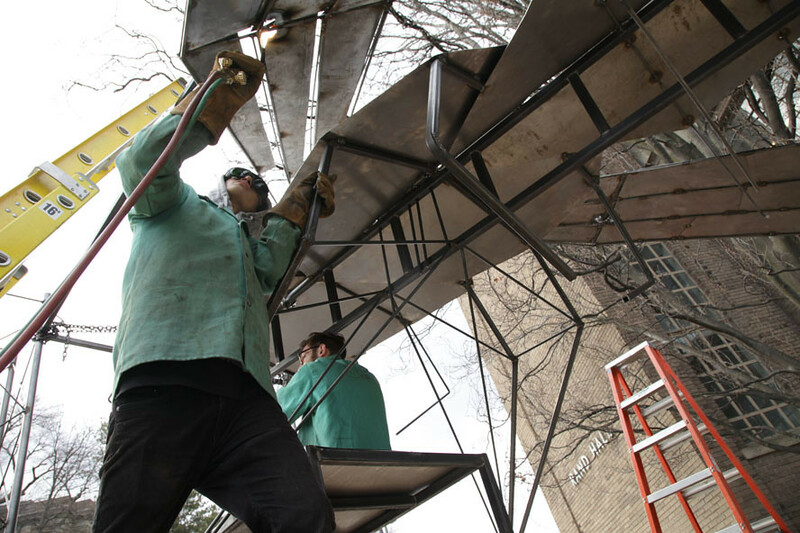 Students welded the steel tube dragon frame for Dragon Day 2014. 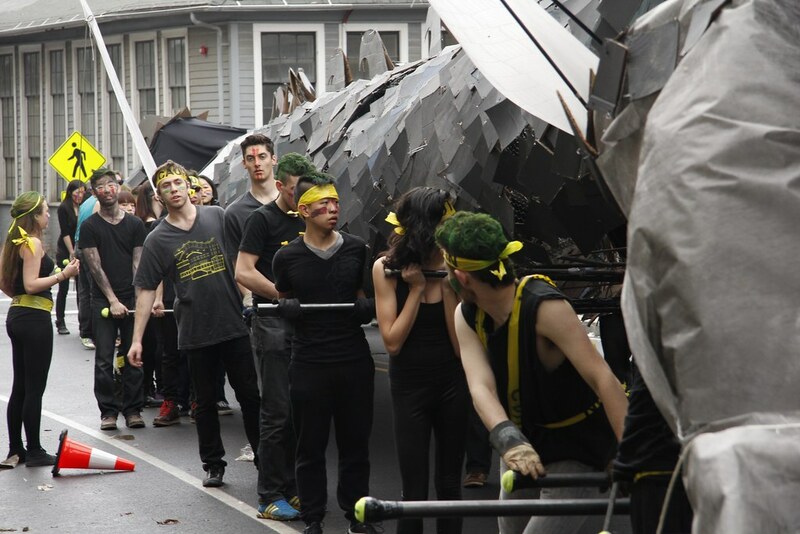 First-year students on parade during Dragon Day 2014. 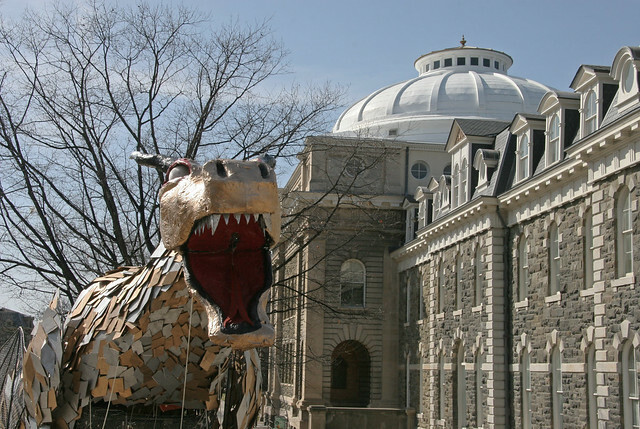 The 2013 dragon's mid section in front of Uris Hall. 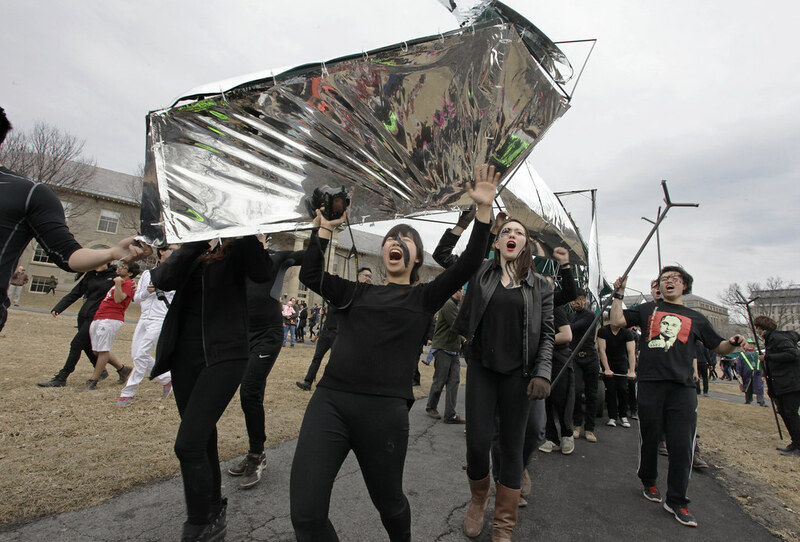 First-year students celebrate their successful march around campus and arrival on the Arts Quad during Dragon Day 2013. Students get ready to start the 2012 Dragon Day parade. The 2012 dragon parades past Goldwin Smith Hall. Final preparation for the 2011 dragon. A sun-filled day for the 2010 Dragon Day parade. 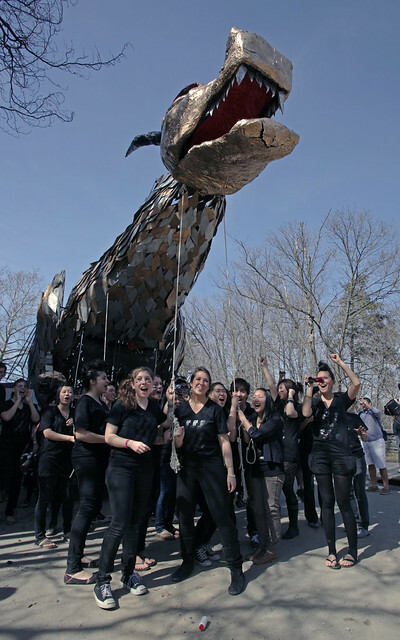 The 2009 dragon was the 108th in Cornell's history. Scenes from the 2009 Dragon Day parade. 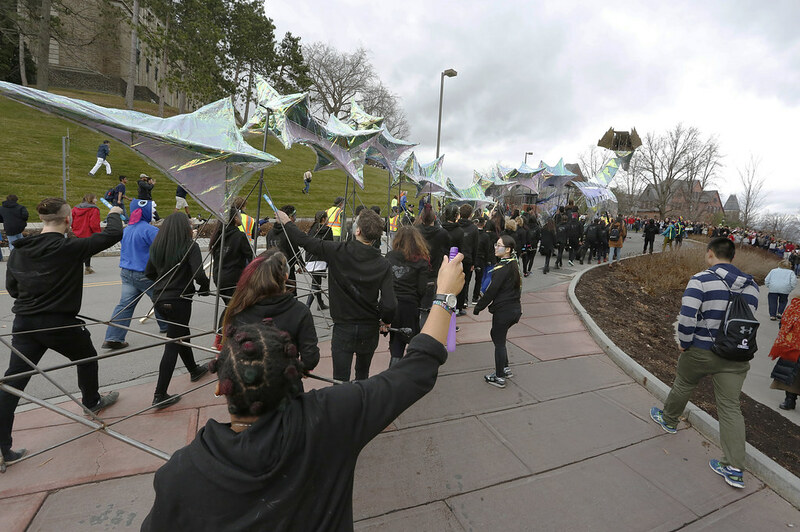 The annual Dragon Day parade passes Sage Hall on the way to the Engineering Quad. 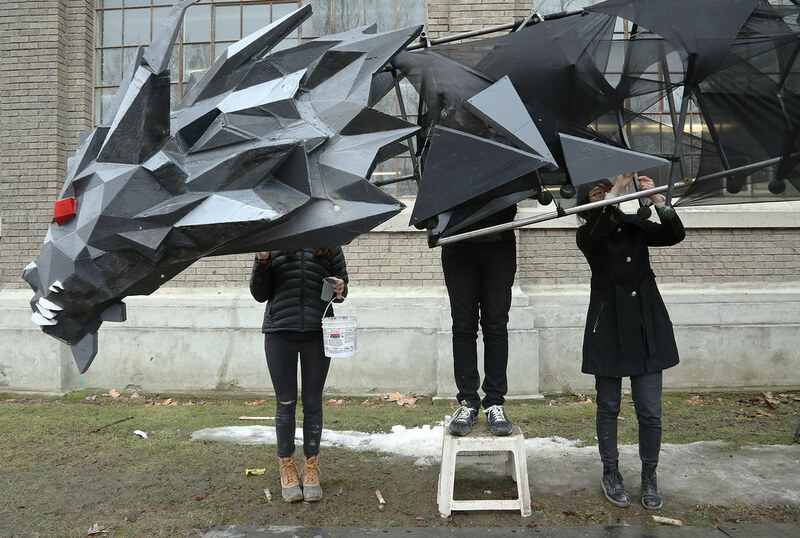 First-year architecture students build and parade a dragon every year in this annual spring tradition. Dragon Day 2018 parade on a cold and rainy day. 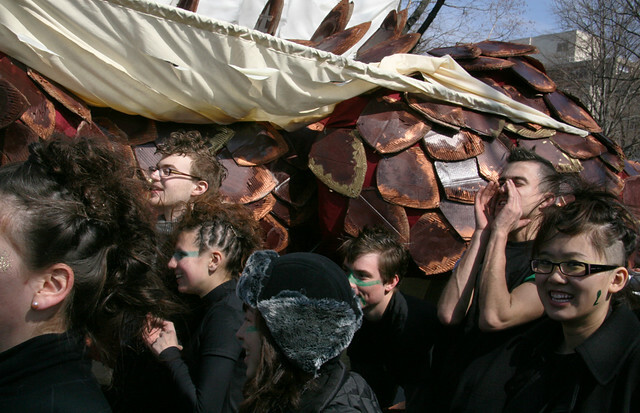 The dragon passes Rand Hall, early in its journey to the Arts Quad. 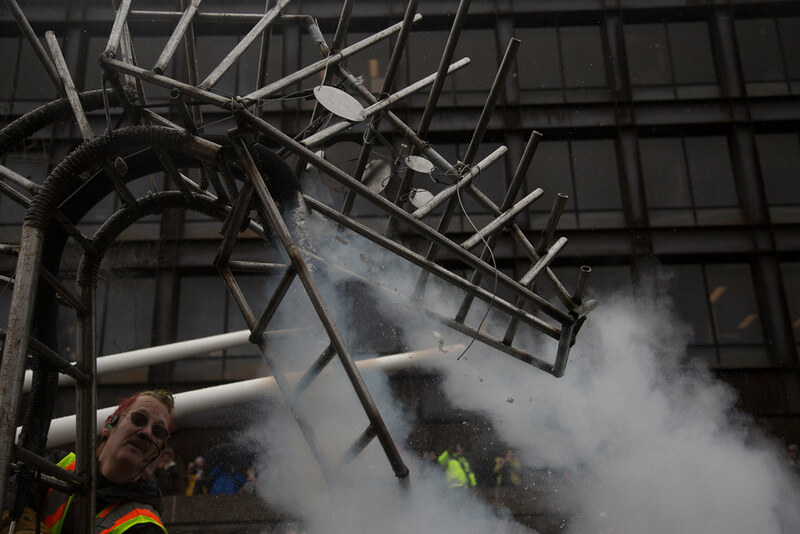 The 2017 dragon blew smoke and doubled as a musical instrument. Dragon Day 2017 parade on a cold and rainy day. 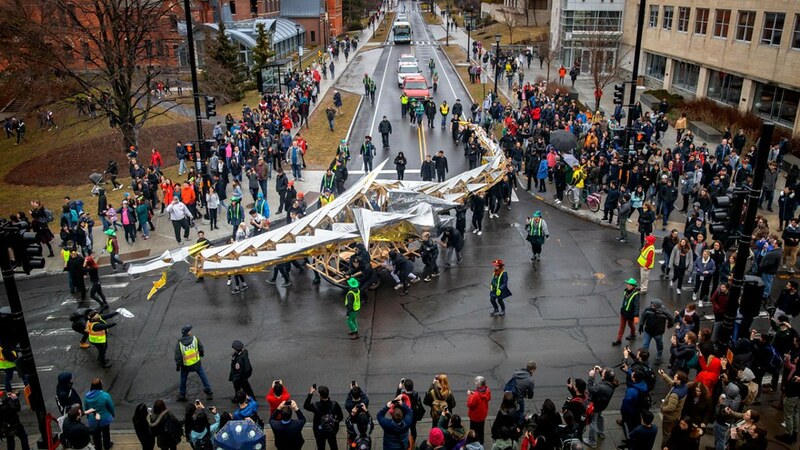 The 2017 dragon nears the Arts Quad. The 2016 dragon departs from Rand Hall. 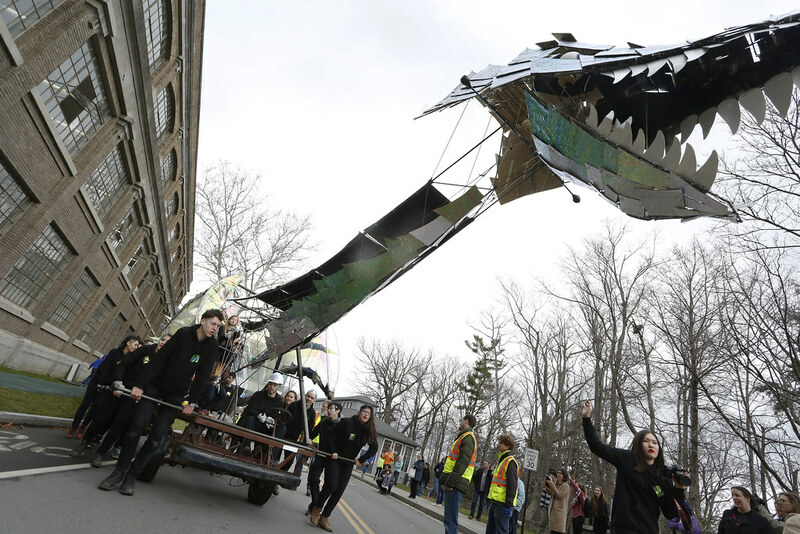 The 2016 Dragon begins its trek up East Avenue. 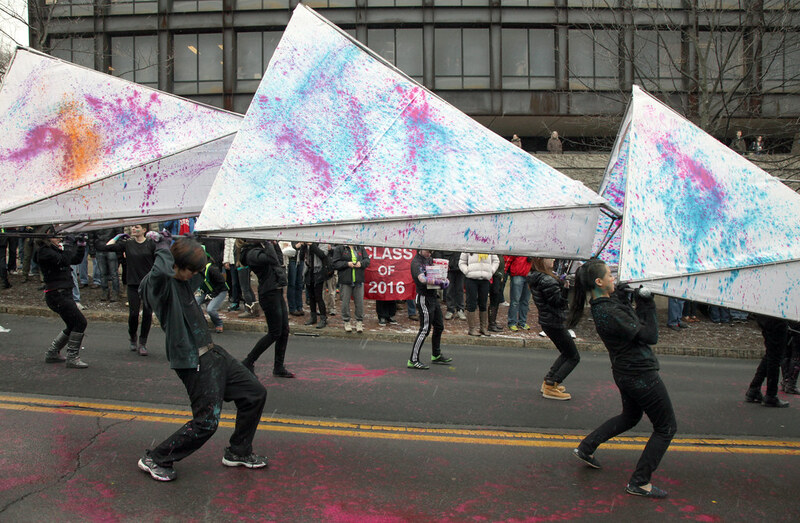 First-year architecture students celebrate the end of the 2016 parade on the Arts Quad. The 2015 dragon getting finishing touches. 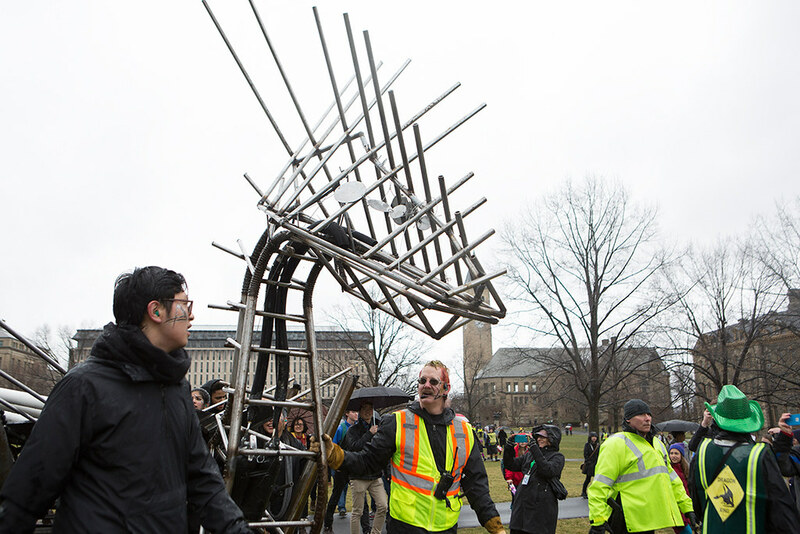 First-year students celebrate as the 2015 dragon comes to rest on the arts quad. 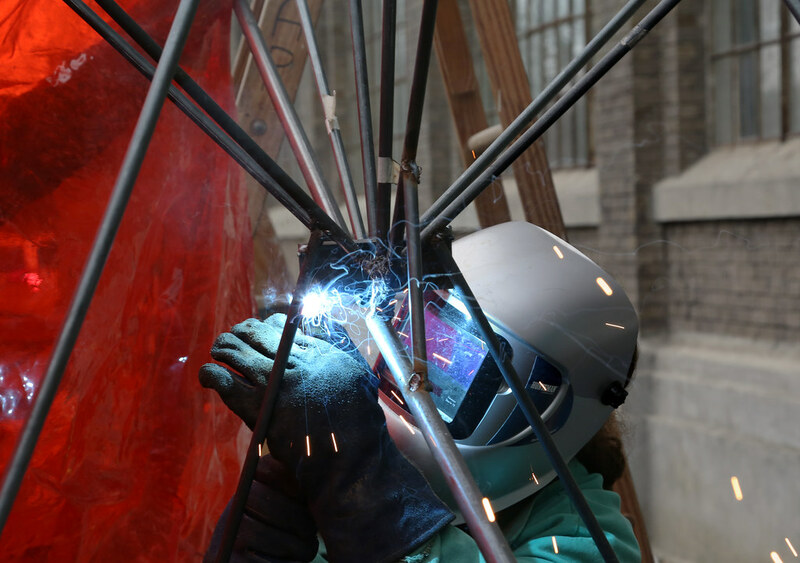 Students welded the steel tube dragon frame for Dragon Day 2014. 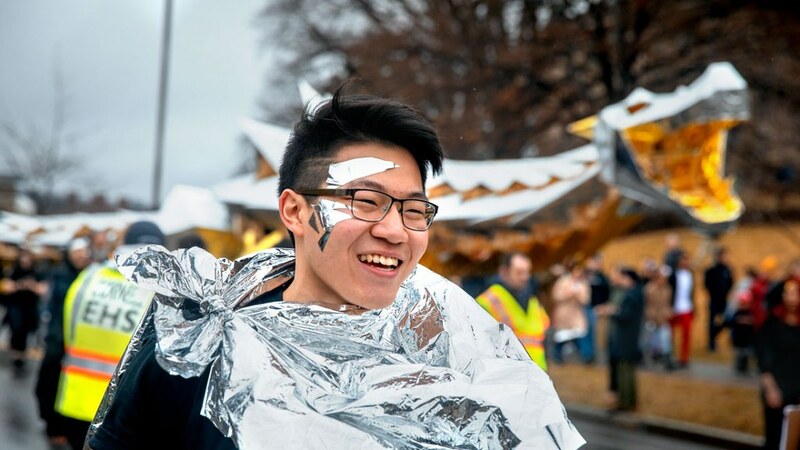 First-year students on parade during Dragon Day 2014. First-year students on parade. The 2013 dragon's mid section in front of Uris Hall. 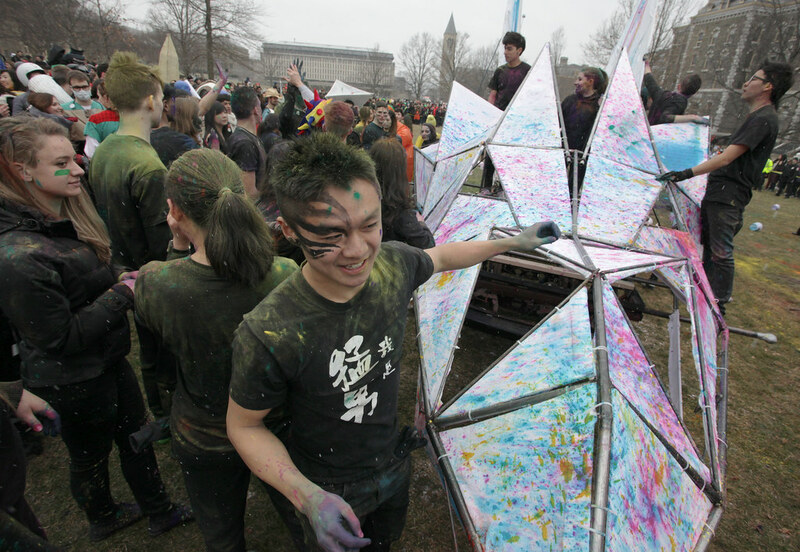 First-year students celebrate their successful march around campus and arrival on the Arts Quad during Dragon Day 2013. Students get ready to start the 2012 Dragon Day parade. 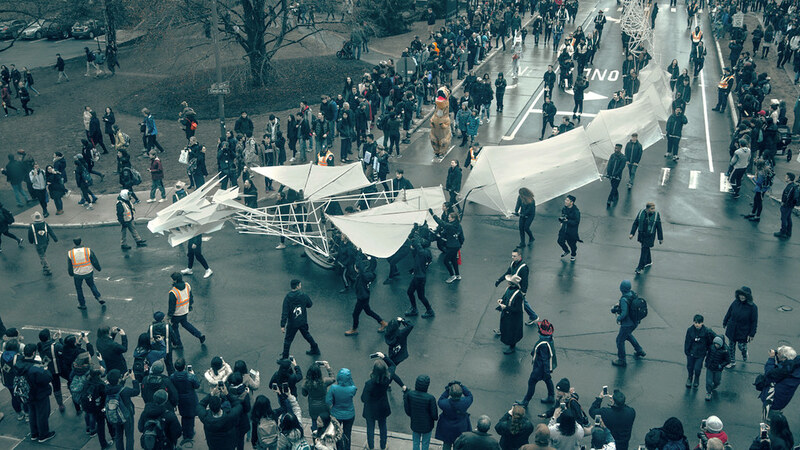 The 2012 dragon parades past Goldwin Smith Hall. Final preparation for the 2011 dragon. Dragon Day 2011. A sun-filled day for the 2010 Dragon Day parade. The 2010 dragon. 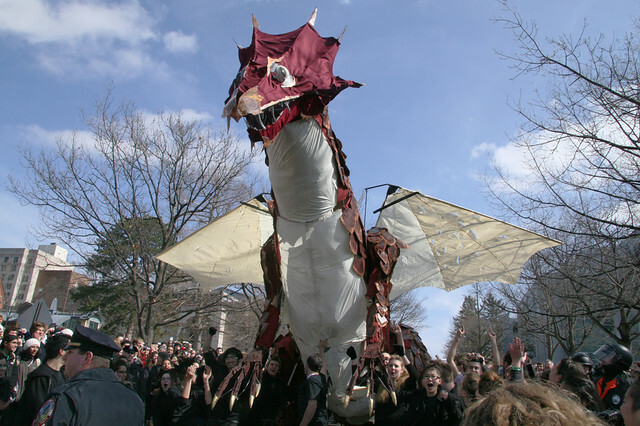 The 2009 dragon was the 108th in Cornell's history. Scenes from the 2009 Dragon Day parade. Dragon Day 2018 T-shirts can now be purchased online!